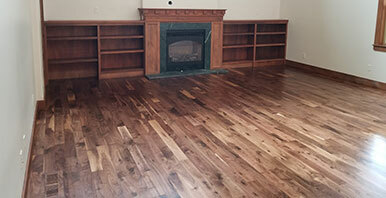 Expert hardwood flooring craftsmanship and customized service from start to finish. Hardwood floors can bring functional elegance and style to any room. Refinishing your hardwood flooring is a great way to make old and beat down wood look new again! King Hardwood Floors can repair and restore your wood floors. Adding Hardwood to Your Existing Floors. 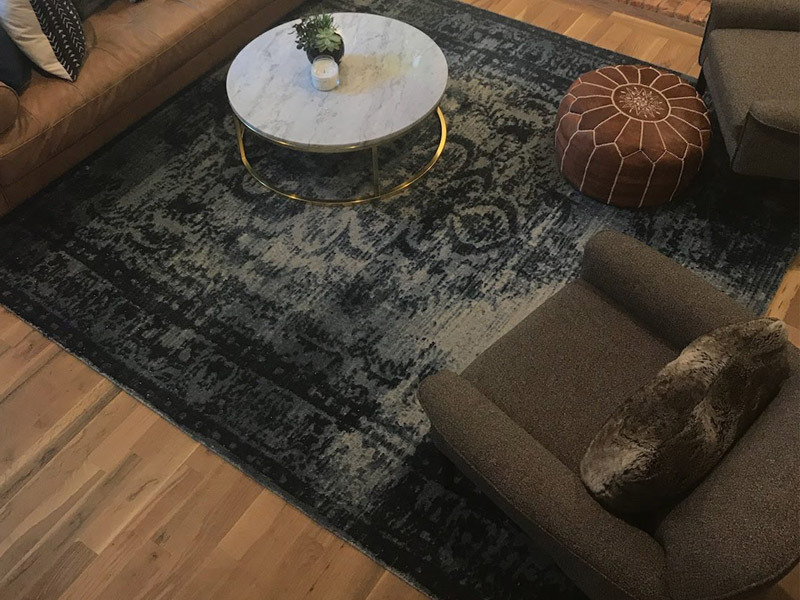 King Hardwood Floors Adds a Unique Touch to Every Project. Gallery featuring some of our favorite flooring projects. 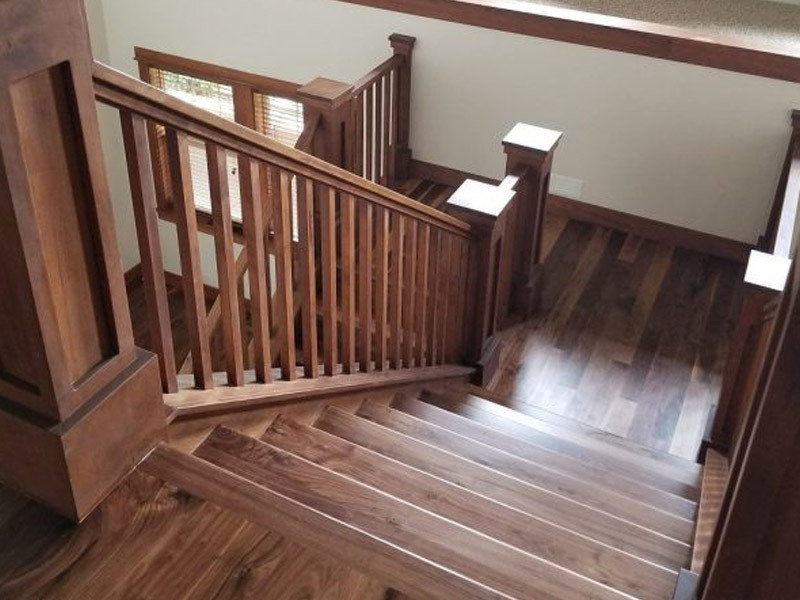 With decades of craftsmanship and experience working with high end, custom homes, let us help with all your hardwood needs. 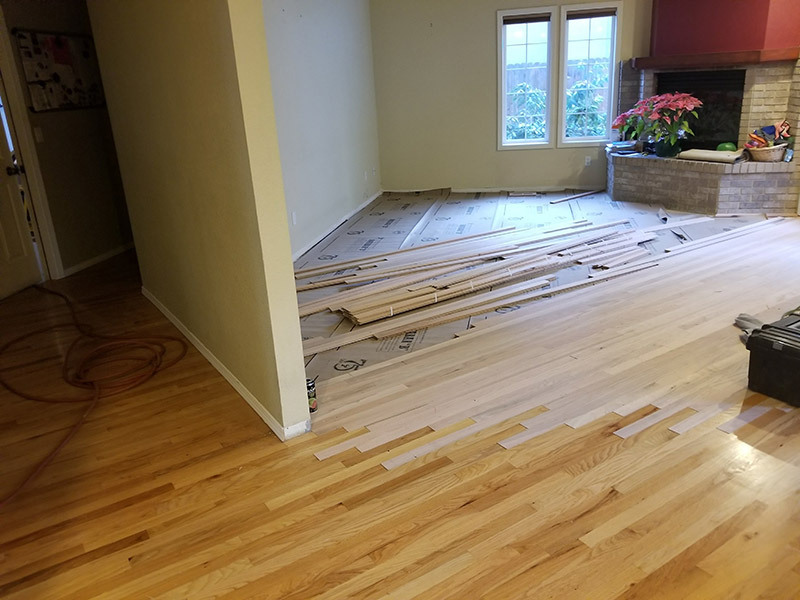 Beginning with the initial flooring project consultation, Mike listens to the various needs and preferences of each potential customer, makes suggestions, and offers customized improvements such as borders or custom stain options. He will be the first person you meet and the last person you see when your job is complete, as your ultimate satisfaction in the entire process is our number one goal. Our specialty is refinishing and restoration of original hardwood floors. 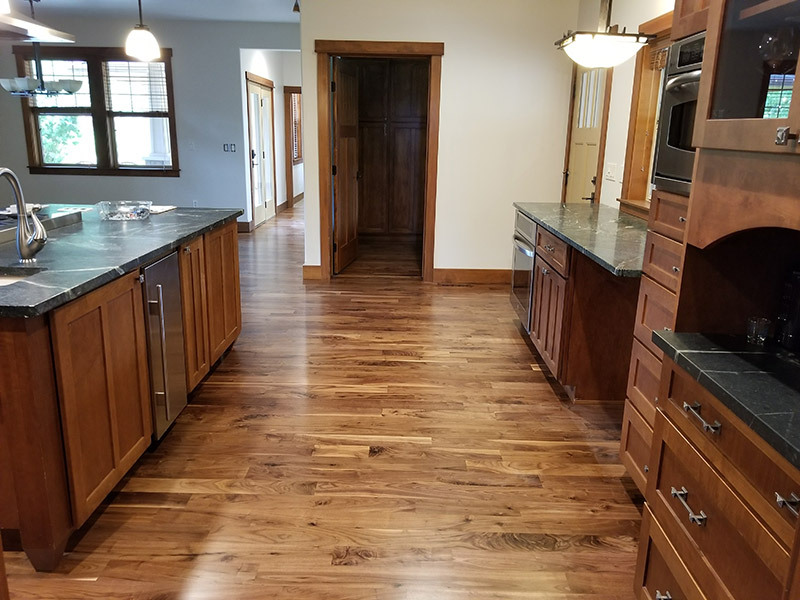 Whether your home is five years old or fifty years old, Mike and his crew of expert craftsman can bring new life to your wood floors and offer a variety of protection and finish options to keep them lasting for years to come. In addition, we also do new hardwood flooring installs using any species, width, or grading of flooring your prefer. 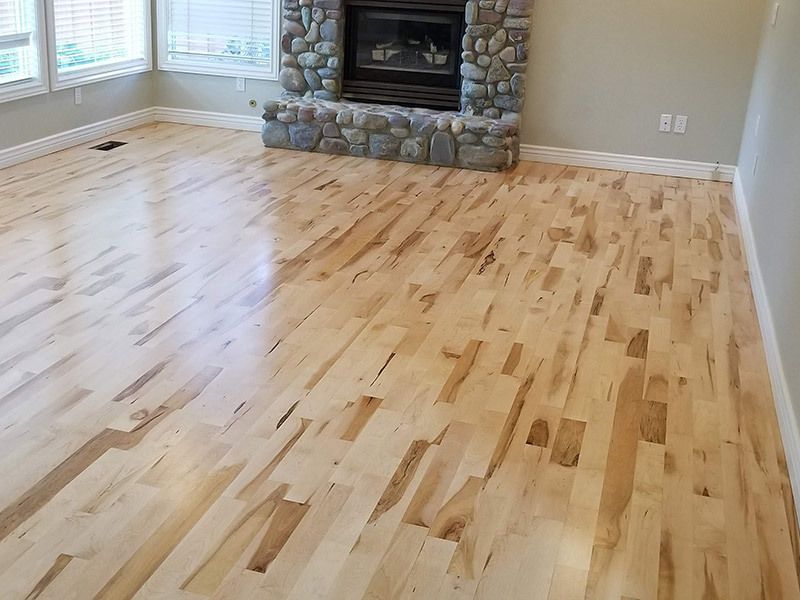 King Hardwood Floors have done a spectacular job in refinishing a floor for us. 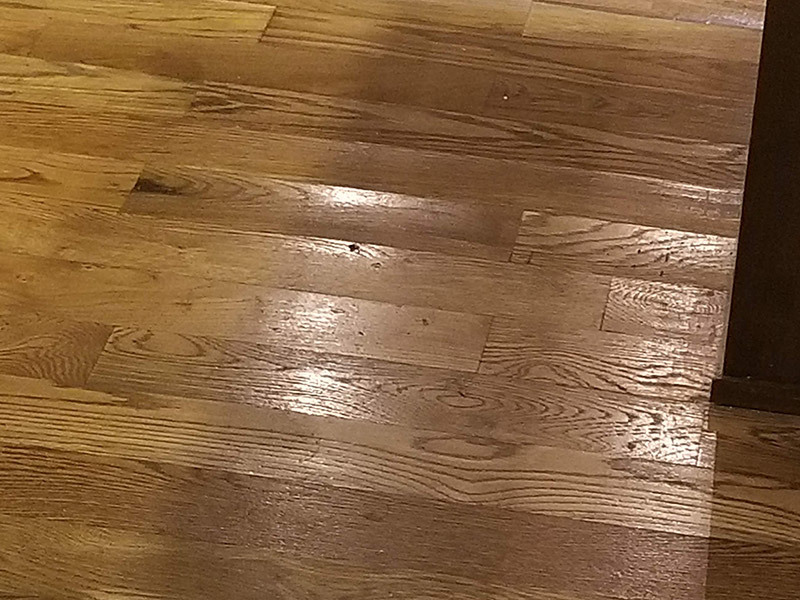 It looked like a brand new floor when done. We are very pleased to have King Hardwood Floors do the work. We would recommend them anytime. After meeting with Roanne, she is a very hardworking business owner who pays her employees well. 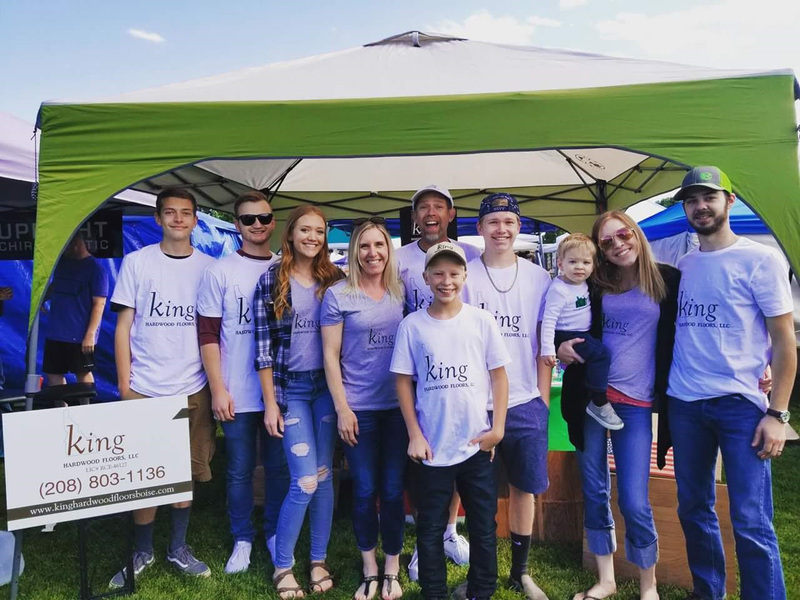 Her business is a great contribution to the Treasure Valley. I highly recommend her and King Hardwood Floors. King Hardwood flooring did a phenomenal job on our wood floors. The house looks brand new, there was no mess and Mike was incredibly helpful. We would highly recommend them!! Mike did an Excellent job, from starting the installation to sanding and stain. We love how it came out and we get compliments when guests see the results. Quality Professional work, thanks Mike.